In accordance with NHS regulations, fees for NHS treatment may be requested prior to treatment commencing and outstanding amounts must be settled on completion. Following an initial examination, you will be offered a written treatment plan which itemises the cost as far as possible. A deposit is required before your treatment begins and unless otherwise agreed, a final payment will be required before completion. For prolonged treatments, fees may be accepted in installments. Accounts can be settled in cash or major credit/debit card. We no longer accept cheques. 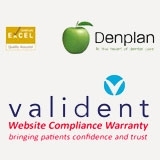 Once dental fitness has been secured, you would be encouraged to consider registration with Denplan Care. This scheme offers fully comprehensive cover for all subsequent dental treatment usually available within the practice for a regular fixed monthly fee. 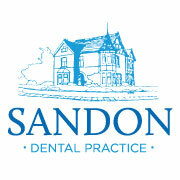 Insurance for dental injury following sporting or other accidents is also included in Denplan Care. Alternatively, Denplan Essentials provides registration with the practice & cover for routine examination & hygiene visits. Please enquire at Reception for more details.